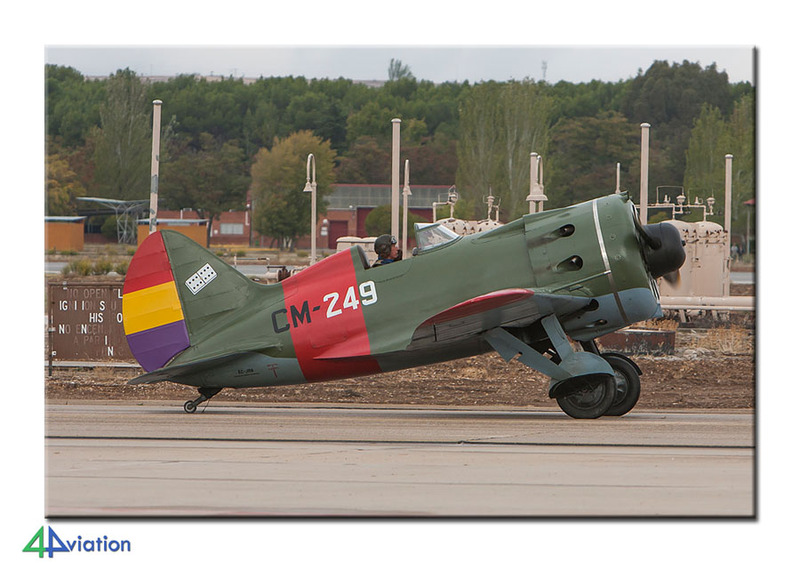 The first 4Aviation tour to Spain, in October 2014, was in honour of the 75th anniversary of the Spanish Air Force and an interesting TLP at Albacete. Tuesday 7 October started early again. 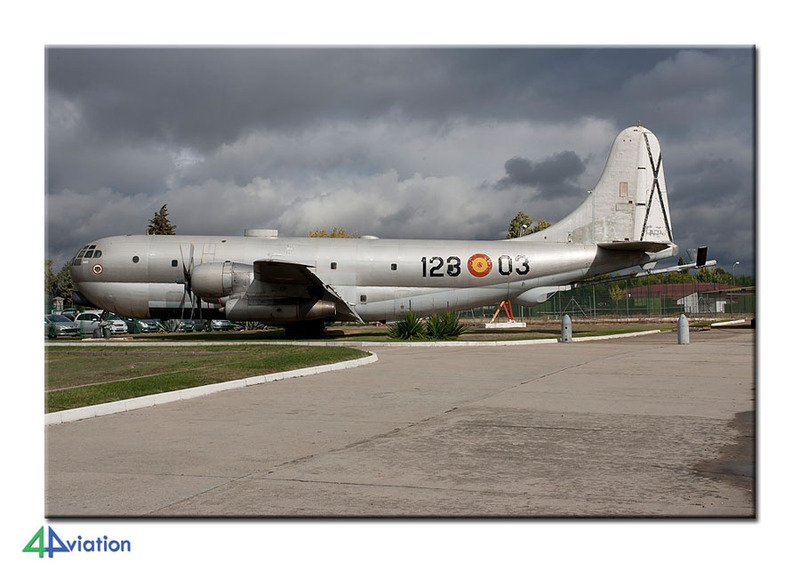 The first 4Aviation tour to Spain was about to start, in honour of the 75th anniversary of the Spanish Air Force and an interesting TLP at Albacete. The itinerary resulted in 23 participants for the tour. The group was to meet at Eindhoven Air Base at 05.00. One of the group chose to fly to Madrid on his own. All were there on time and Transavia flight to Madrid also kept to its schedule. Just before 09.30 we arrived at Madrid IAP. The last person joined the group there in time. Next step was to pick up the three vans. 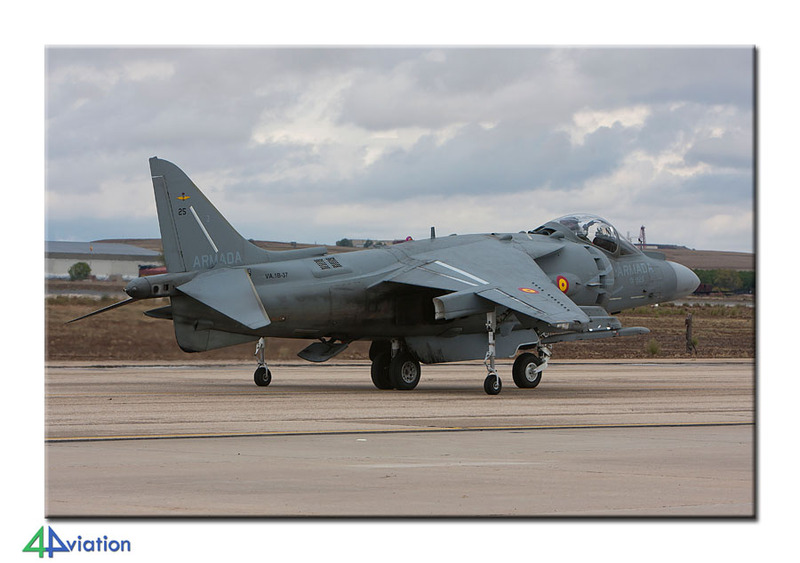 Since we needed to drive to Albacete from Madrid to capture the recovery of the TLP sortie that day we were somewhat in a hurry. We arrived at Albacete in time though. On our way to Albacete we stopped at fuel station for some refreshments. This stop had a serious impact since the tour guide did something stupid here and heard a ‘snap of a bone’. 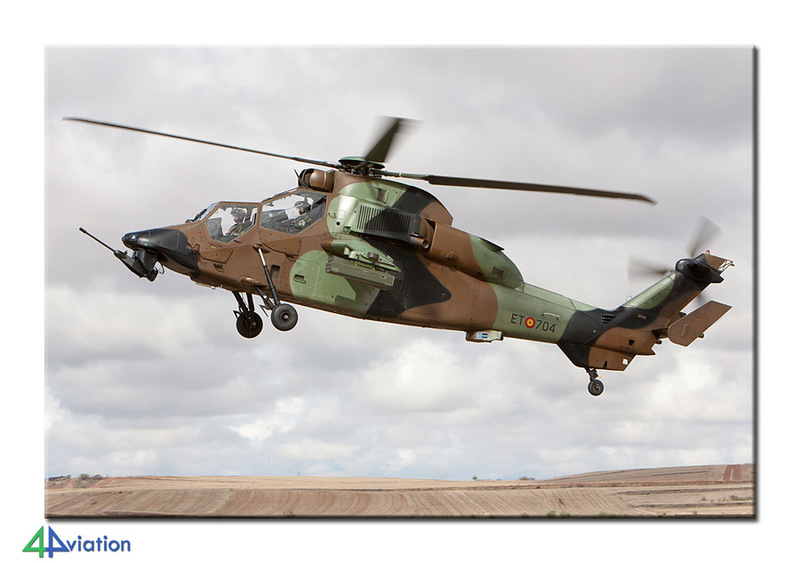 The TLP sortie in Albacete departs later than what we were used to at Florennes. It starts late in the afternoon instead of early in the afternoon. When we arrived at Albacete at 14.30 it was still very quiet. 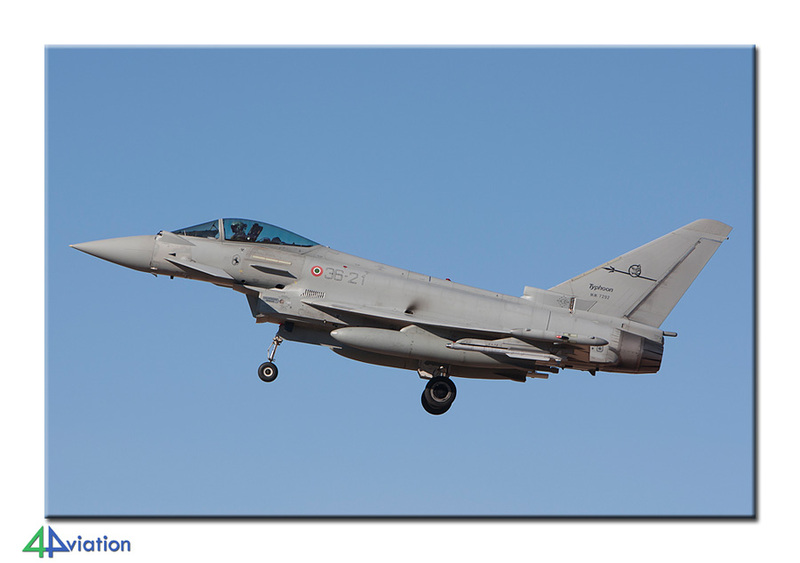 This changed with the launch of the TLP sortie, which we photographed during take-off. 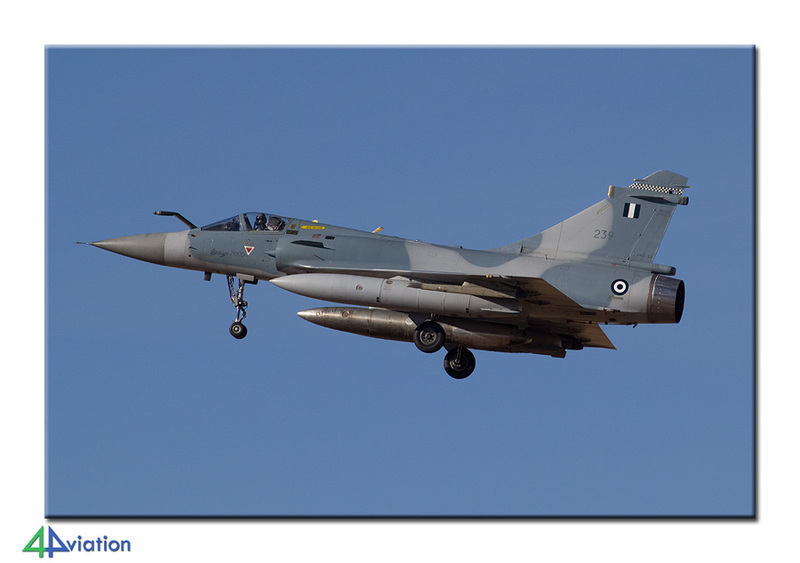 On our way to the approach area we saw a lot of stored Mirage F1Ms. The TLP aircraft landed until around 17.45. 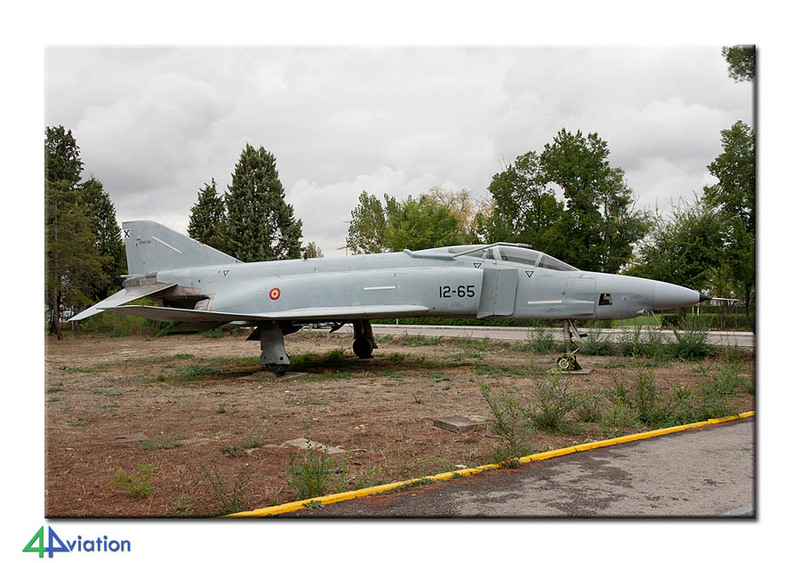 On our way to the hotel, also in Albacete, we stopped at a Mirage F1M on a pole. It was lit beautifully in the bright sun. It had been a long day, but with beautiful weather. Wednesday 8 October was a full day at Albacete. The TLP sortie was scheduled to depart late again so we didn’t have to get to the base early. We enjoyed our breakfast in the hotel and headed for the approach for local traffic after that. 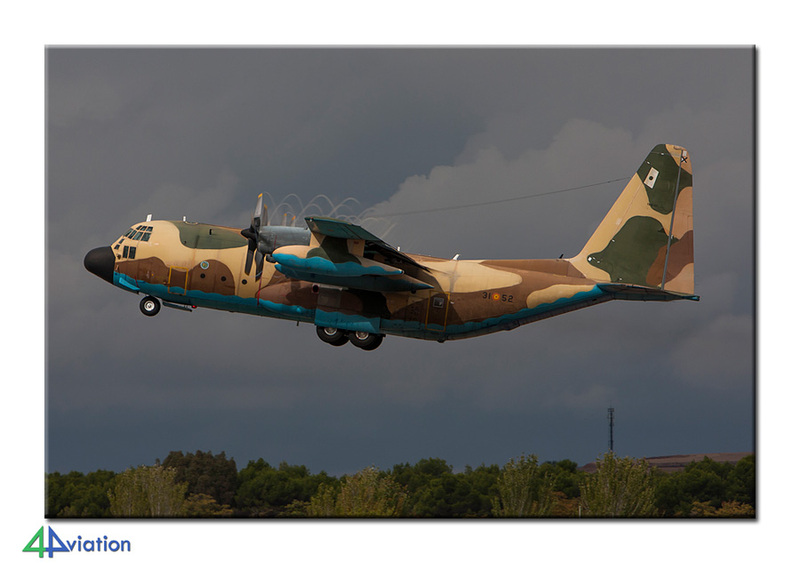 This traffic consisted of a EF 2000T of Ala 14, CL-215, UH-1H, 2 CASA 101EBs and a Hellenic Air Force C-130 with anniversary markings (60 years). The tour guide paid a visit to the hospital that morning, was given a short leg cast and could be picked up again at the hospital. 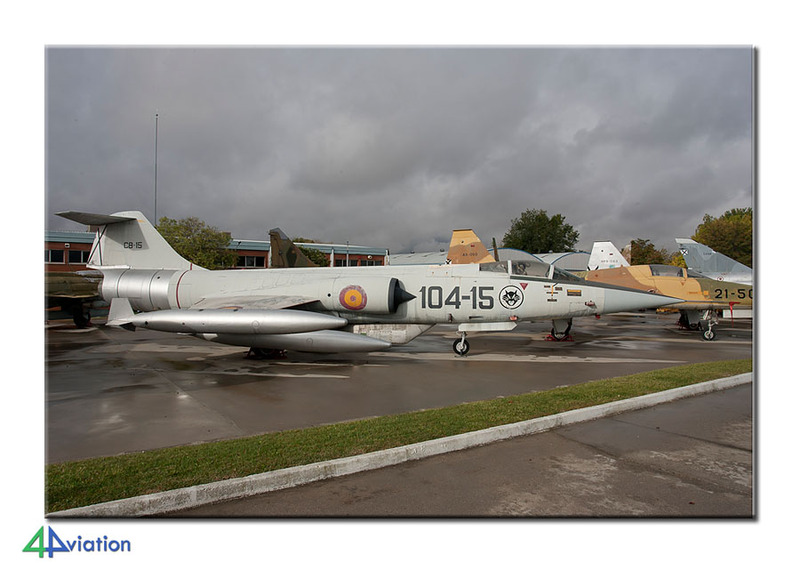 In the meantime it was possible to photograph preserved aircraft around the base; 2 Bo-105s (ex Spanish Army) and a Mirage F1 at the civil terminal. 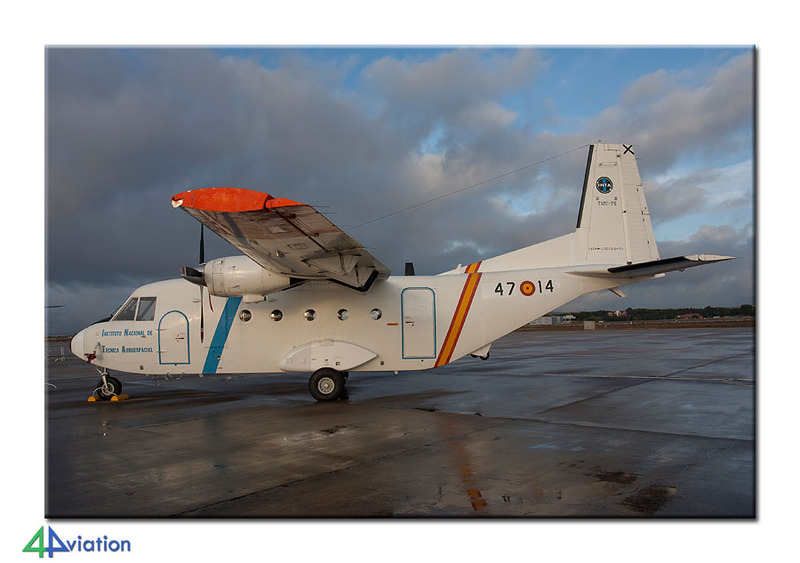 After the return of the TLP aircraft we took to the road, heading for Madrid. It is weird to be on a highway that is hardly being used by other traffic… We arrived at our hotel in the dark. It took some time to find parking spots for all three vans but we succeeded eventually and were able to get some food. Thursday (9 October) we took the three vans to Getafe. On arrival there the group was split. 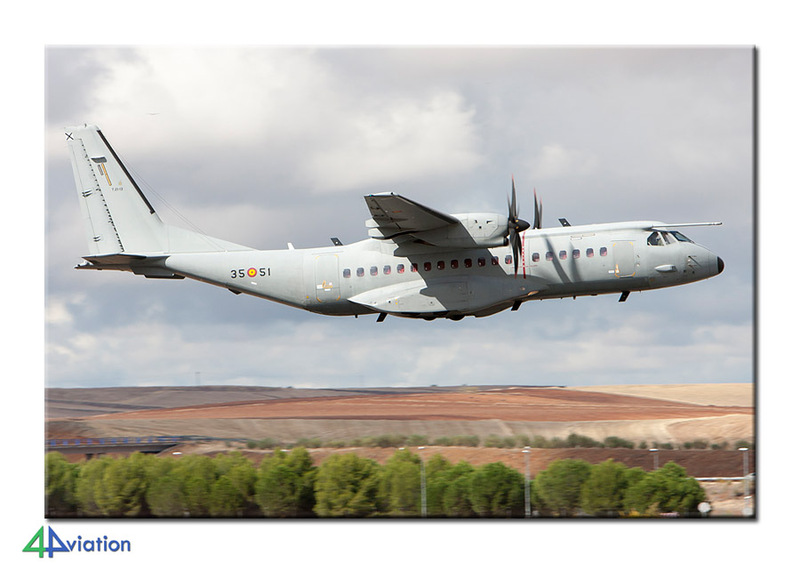 One van went to the approach of Torrejón to catch the arrivals and rehearsals of the participants of the air show that weekend. Two vans continued to the museum at Cuatro Vientos. This museum is open from 10 AM to 2 PM. We appeared to have enough time but we had to wait for the sun to come out every now and then. The weather forecast was not very good for this day but it turned out not too bad. 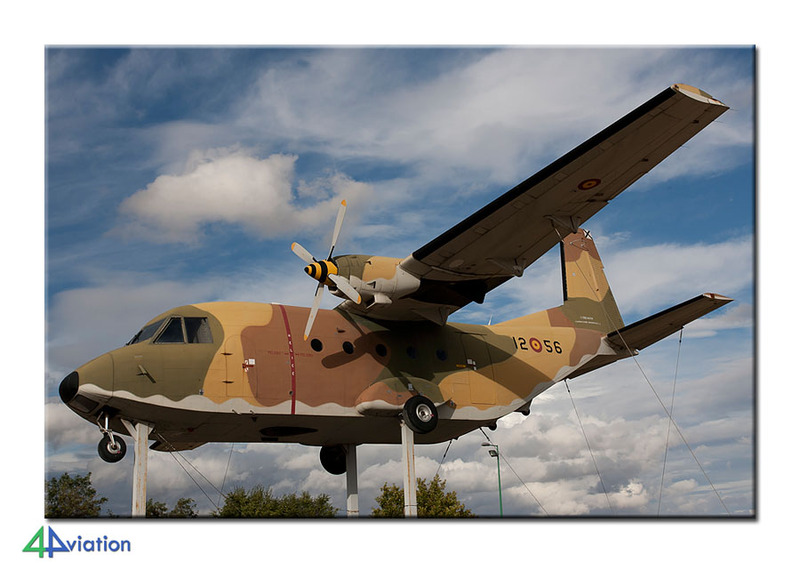 After the museum another split took place; one van headed for the approach of Torrejón as well and the final van visited the air base of Cuatro Vientos and Wrecks & Relics in the neighbourhood. 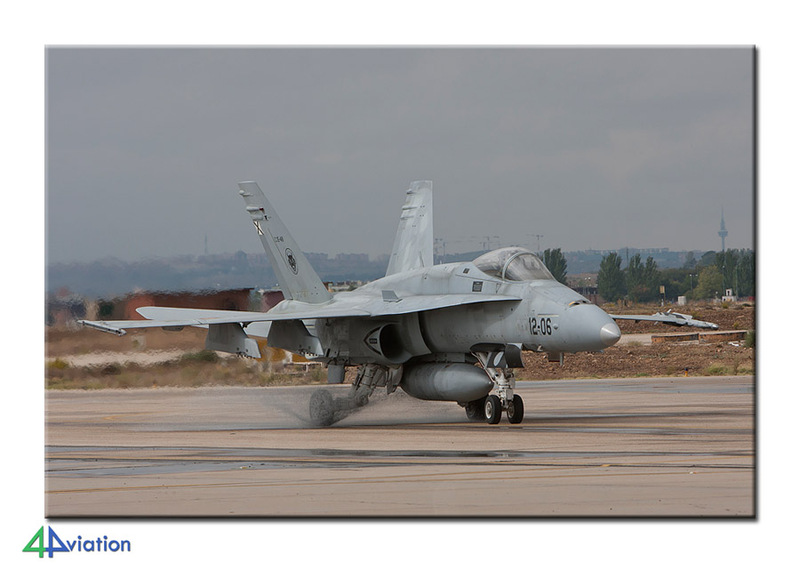 The activity at Torrejón was a bit slow so the army base of Colmenar Viejo was visited as well. Several Chinooks and UH-1s were seen there. At the beginning of the evening all groups were back at the hotel again and we had a group dinner in the city. 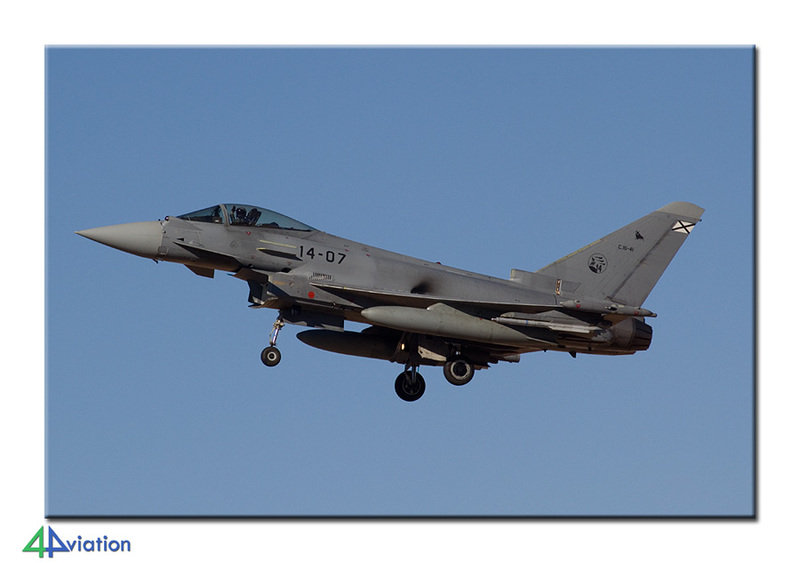 The spotters day at Torrejón was the target for Friday 10 October. After registration we all ended up in the coach soon after. The coach took us to the threshold of the runway where an area was created for spotters (including an old QRA shed in case it would start raining… last night and on our way to Torrejón we had encountered large amounts of rain; when we arrived at the base most of that had fallen already). The first visitors arrived early. Fortunately the weather improved around noon and the sun started to appear regularly and the temperature rose fast. 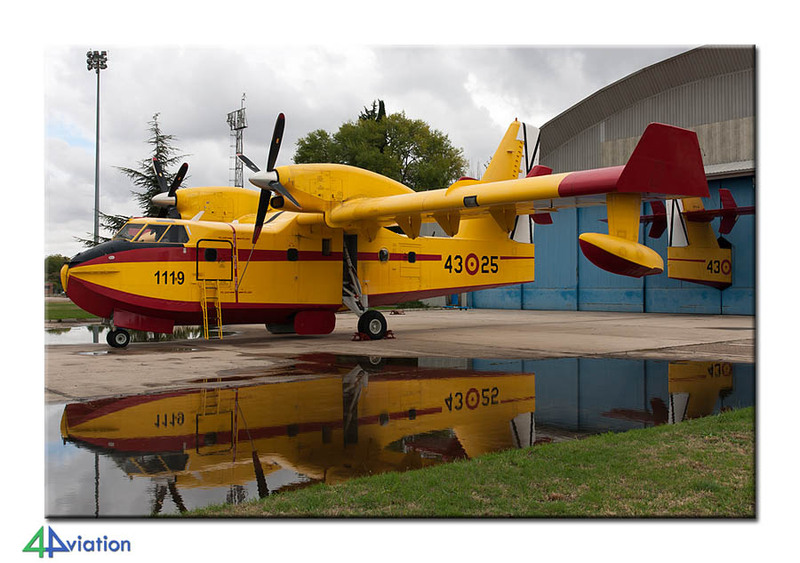 A number of demo teams did their rehearsal but the Spanish Air Force stayed on the ground. Around 7 PM we departed the base again and were able to capture a preserved F-4C on base in the final rays of sunshine. A fine dinner in the city ended this day. On Saturday 11 October we drove to Torrejón at 7 in the morning already. From the hotel it was under 340 minutes away and the traffic was surprisingly cooperative. We were at the base by 8. After parking the car at the apron the cameras could get out of their bags. If was still a bit dark in the beginning but light soon got better and the sun started to appear (with very nice dark clouds in the background, good for nice pictures). Many aircraft could be photographed rather well, with the fences not to close by. For other aircraft it was harder or even impossible to make a picture (the larger aircraft in particular). Soon after we found a spot near the flight line. 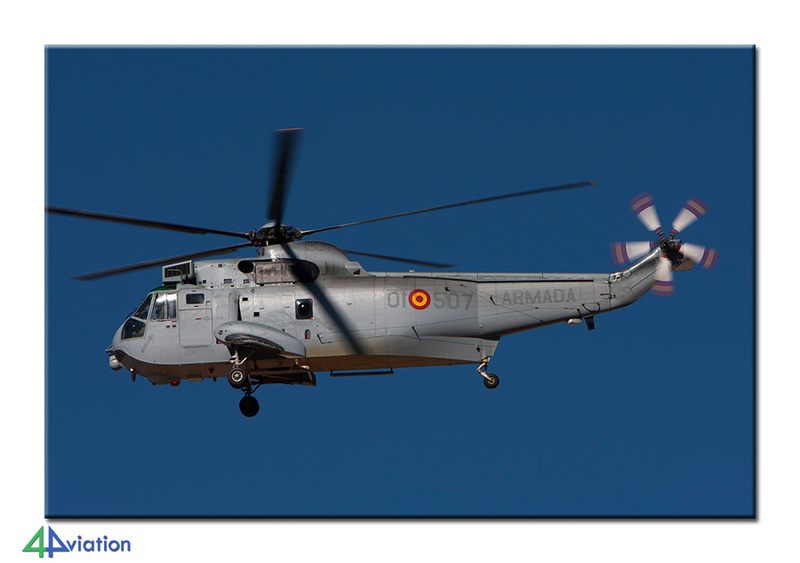 The demos of the Spanish Air Force were interesting with a CSAR-demo near our parking spot on edge of the base (!) 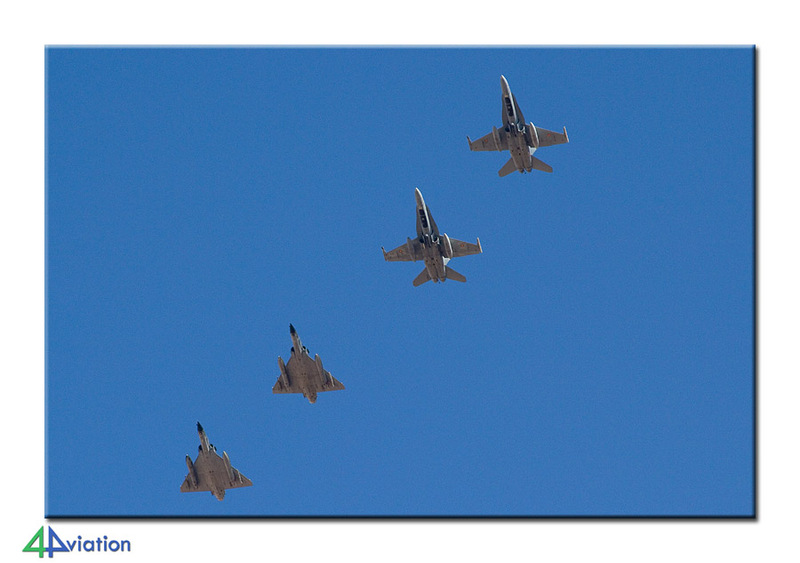 and formations with a KC-130H that had a Spanish Hornet and Eurofighter underneath. 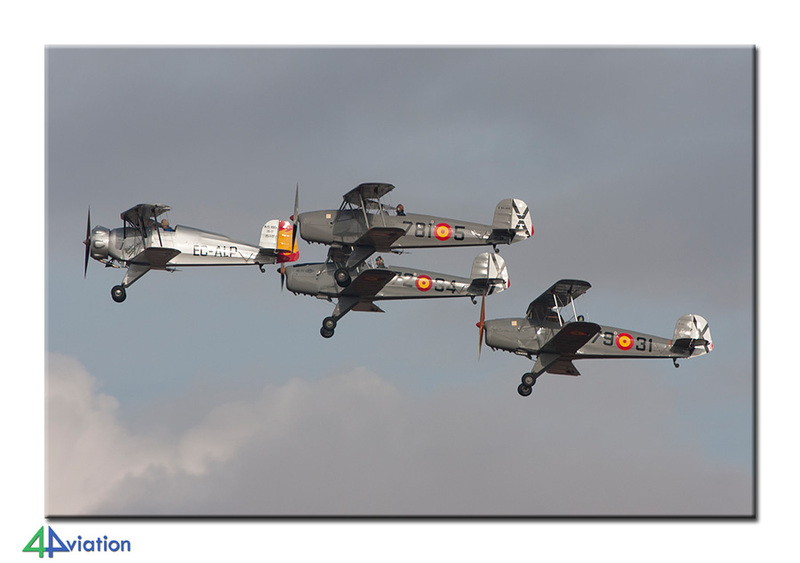 The demonstrations of older, former Spanish Air Force, aircraft was an interesting item as well. We departed the base at 2 PM (the show would continue until 7 but since only demo teams were scheduled to fly and that it was very busy we decided to leave the base early). The vans were not parked next to each other so we ended up returning to the hotel in three different groups. We had dinner in the city again and started packing our bags. Our final night in Madrid had arrived. Sunday 12 October was the final day of this tour. The day started dry with blue skies and sunshine. All luggage was placed in the vans and we headed for Torrejón. After a while we finally found the spot in the approach. We could have gotten there (much) easier, but walking is good for your health. We spent some time in the approach to take photos of the participants of the fly past over Madrid. 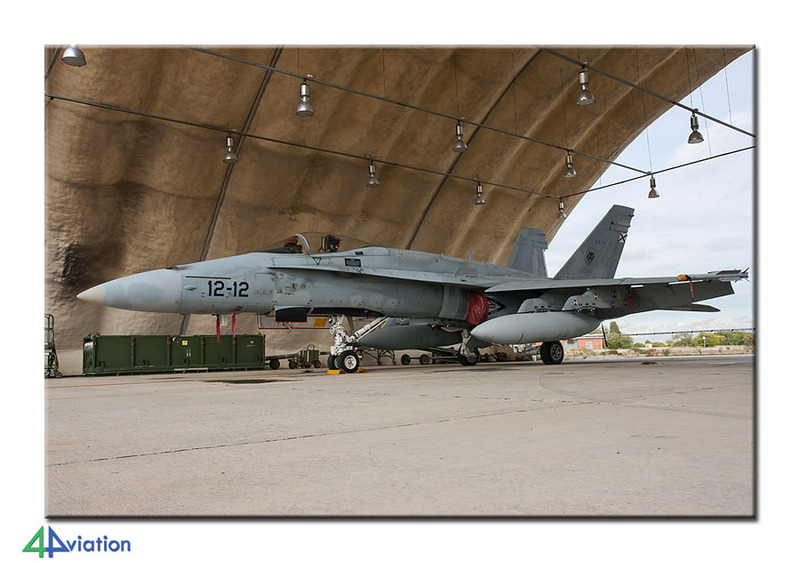 We ended up collecting the following aircraft returning to Torrejón; three EF-18s including one with special markings (25 years of Hornet in the Spanish Air Force), Frecce Tricolori, 2 CL-215s, an Ala 46 Hornet and two C 101EBs. The sun was playing ball so nothing to complain about. 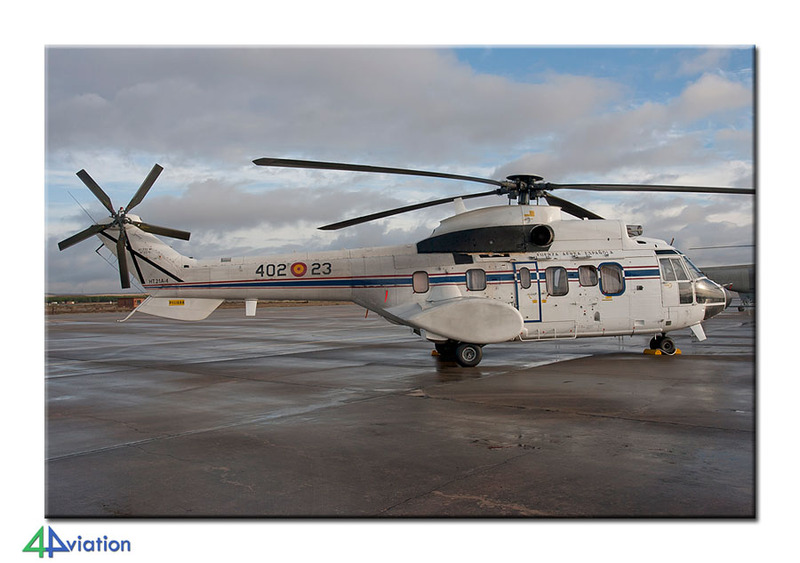 After that the whole group went to Colmenar Viejo and saw a large number of Chinooks and UH-1s. Next stop was to get some food on our way to the airport. We refuelled the vans and handed them in. All went very smooth and so did our return flight to Eindhoven. Unfortunately we flew the same Boeing 737 as on our way to Madrid. Take-off was just before 21.00 and we arrived at Eindhoven at 22.40. Rain was pouring down on our arrival… welcome back to the Netherlands… We then said goodbye to each other. Some of the group would see each other again in 48 hours during the next 4Aviation tour to Araxos (or the next weekend for a Japan tour). 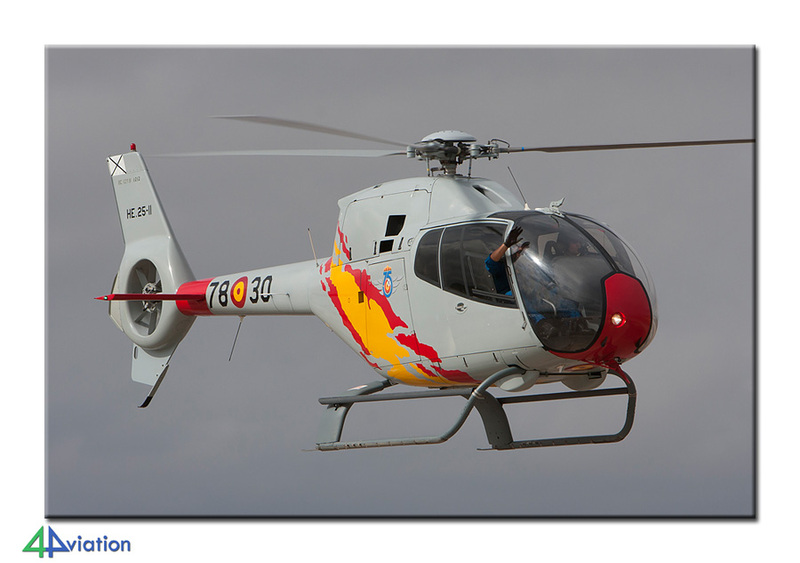 Again a successful tour with a nice TLP and many interesting Spanish aircraft. The museum completed the package.